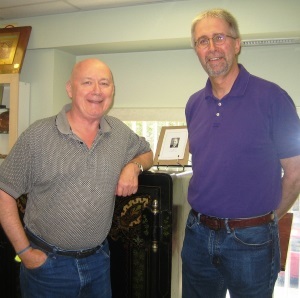 Back in June I had the opportunity to visit the Vincent Grave Greene Philatelic Research Foundation in Toronto, Ontario. Charles Verge, Secretary of the Foundation, Sheila Moll, the Head Librarian, and Kathy Hartley, the Reference Librarian there were my hosts showing me around the Library and the facilities of the Foundation. The Foundation is located at 10 Summerhill Avenue in Toronto, Ontario in the beautiful Summerhill neighborhood just north of the downtown, easily reachable by car or more conveniently by a nearby subway station. 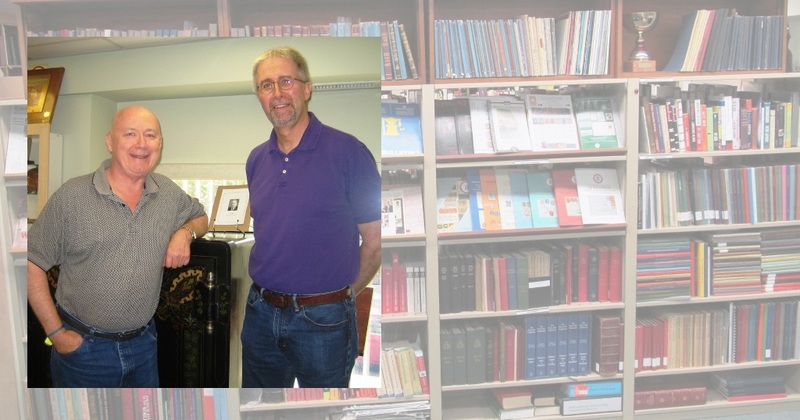 The Foundation is home to the Harry Sutherland Research Library which houses the largest and most comprehensive collection of Canadian and British North America philatelic literature in North America. The collection includes all of the most important monographs, journals, Postal Guides, Postmaster General Reports, auction catalogues and research papers on British North America. Many of the earliest journals in the collection have been scanned and are available digitally for full-text searching. The Research Library is a contributor to the David Straight Memorial Philatelic Union Catalog and the Global Philatelic Library, making their collection searchable online. The Research Foundation is also home to Canada’s foremost expertizing service for the stamps and postal history of Canada and British North America. In February 2012 the Foundation purchased a Foster Freeman VSC6000/HS Video Spectral Comparator which allows the Foundation’s Expertizing Committee to examine items under some of the highest magnification commercially available as well as exposing the material to a wide range of wavelengths of ultraviolet, infrared and filtered visible light. Also on site is a large meeting room with exhibit frames mounted on its walls. The space is used regularly by a number of local clubs and societies, notably the Philatelic Specialists Society of Canada, the Greater Toronto Area Philatelic Alliance and the Canadian Aerophilatelic Society. 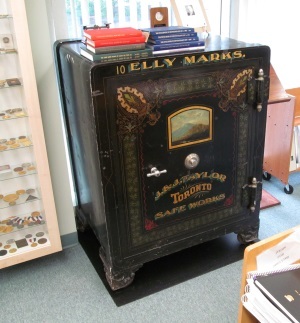 But finally, one of the truly unique objects, especially for this native philatelic traveler and librarian, is the original safe of the Marks Stamp Company, one of Canada’s oldest and most significant stamp dealers. The safe is still operational and is a centerpiece in the Research Library. If you plan to visit Canada near Toronto or are just interested in the philatelic history of British North America, be sure to make time to visit the Vincent Graves Greene Research Foundation. They are open Mondays through Thursdays and one Saturday a month from 10 a.m. to 7 p.m. and by appointment. Email or phone ahead (library@greenefoundation.ca or 416-921-2073) just in case.